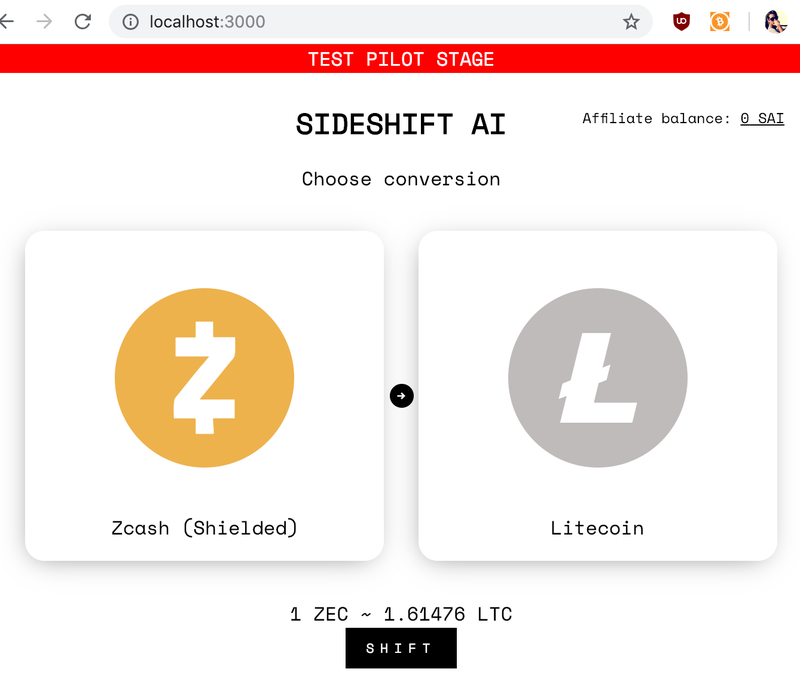 Zcash has two types of addresses/payments. A transparent, t-address, is just like a Bitcoin address and uses the same commands as the Bitcoin Core API I’m used to. A shielded address, often referred to as a z-address conceals the sender, recipient, and amount of transactions. Using z-addresses appears to require a new set of commands prefixed with z_, such as z_getnewaddress. 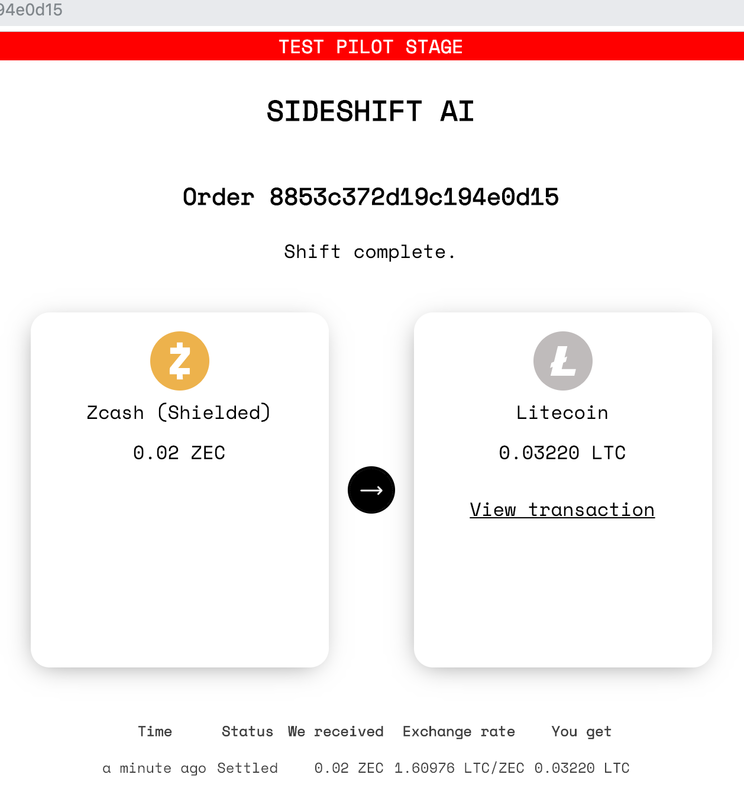 SideShift AI already has support for shifting to and from t-addresses which uses the exact same code as used for Bitcoin, Litecoin, and more. 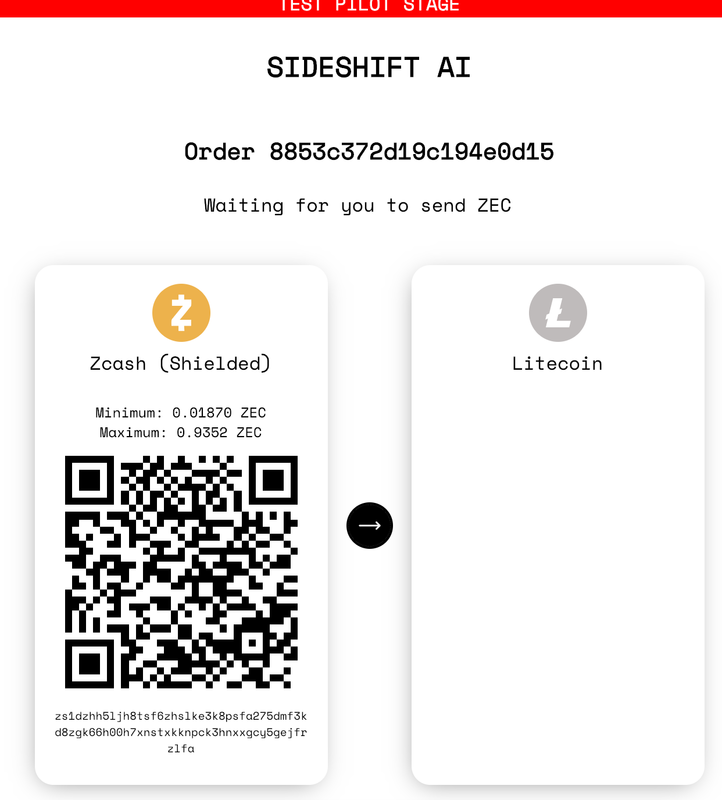 z_listreceivedbyaddress: We could assign a new z-address to every SideShift AI order and poll z_listreceivedbyaddress to see if it has returns a transaction previously not processed. This could become a performance issue if the number of addresses is large, but I’m fine with it. z_listunspent: This command will list all the funds we’ve received that aren’t spent. We could poll this command to notice new transactions. Most of the code from t-addresses can be re-used and I can add z-address as a deposit option quite quickly. I usually test by changing to a coin with very low on-chain fees for sending and low confirmation times, such as Litecoin. The order details page also renders fine. I have a balance in ZEC, but it’s held in a t-address. Can I send from a t-address to a z-address? I’ll try to find out. Nope, that doesn’t work. Maybe there’s a different command for this. I’ll try another just to be sure. And wait for 10 confirmations. The deposit was credited and the shift to LTC completed. Next I’ll look at handing shifts to z-addresses. We can supply a fromaddress! This means we can choose a single address and always send from that one. Sure, we might end up spending some extra money on fees when consolidating, but that’s acceptable. I make a new z-address that’ll serve as the hot wallet. There are probably a thousand more clever ways of doing this, but at SideShift AI the focus is to get product out the door fast and then iterate. I haven’t even checked that the amounts and fees are done exactly correct yet, which our dear TEST PILOTS will assist with.